I love John Green, the person. I adore his blog, think he’s a smart, insightful, funny guy, and would absolutely love to have him (and his wife and kid) over for dinner sometime. I have not, however, been a really huge fan of his books. Saying that almost makes me an outcast in Nerdfighteria, but I’ll live with that. Sure, he has moments of brilliant hilarity, but I have always thought that he tries too hard to be Deep, which too often comes off as pretentious. That said, I think he’s one of those writers that as he gets older, he gets better. I’ve liked each one of his books better than the last, thinking that maybe he’s figuring out the balance between angst and thoughtfulness, human observation and invention. Hazel is 16 and dying of cancer. Sure, she’s had a miracle drug that’s prolonged her life, but really: she has cancer, she is slowly dying, mostly because her lungs are “crap”. Tethered to an oxygen tube, she basically exists, waiting to die. Then she meets Augustus Waters. Hot, amazing, full-of-life (even though he’s got cancer as well), Augustus Waters. We get to watch them slowly fall in love, as they share Thoughts, and Books, and Ideas, and Hopes, and Fears. Sure, there’s an improbable trip (cancer perk!) to Amsterdam to meet the douchebag author (as M called him) of the book that Hazel adores (and Augustus grew to love as well). But really it’s mostly one of those books that Makes You Think. But, this is where John’s gotten better: it’s not pretentious. Really. The emotions are honest; the cynicism, the reflections, the quoting of improbably sophisticated literature all works in this context. And yes, it is heartbreaking and hilarious, as everyone promises. Read the Catcher in the Rye update Looking for Alaska a while back and just got An Ab. of Ks because I'll read them all eventually but I've heard amazing things about this one, thanks. Glad to hear this book is so good. Hopefully I will get a chance to read it soon! I too, think he gets better with each book. Glad to hear that holds true with this one, which I haven't yet gotten my hands on. I'm with you on my John Green feelings. My favorite of his books is “An Abundance of Katherines,” because I felt like it was trying less in the way you mention about being deep. I'm not sure what I think of this book. I liked it, but didn't feel as emotionally connected as I thought I would. I think it is pretentious, but giving itself an out in being pretentious through the intellectual author character. It worked to a degree, but I think it partly why I felt detached… but I'm not trying to be too harsh. It's well-written and I'd like to read it again, maybe when the hype has passed. I haven't read any John Green (hanging my head in shame). Is this a good place to start? Or with an earlier title? Hurrah, I'm not alone! I have to say, I agree completely. I love John Green's Youtube videos (with his brother Hank) but as much as I've heard his books raved about, they Just Aren't For Me. Weirdly, I feel the same about Neil Gaiman – I love his twitter & blog, adore to see him in interviews. But, I feel kind of “meh” about his books, so at least John Green is in good company! And Mary: start with The Abundance of Katherines, then Paper Towns. Will Grayson, Will Grayson is good, too. But they're less Serious than this one. Nice review – I appreciate your honesty. And I have to say I love the Neil Gaiman quote you have on this blog… that's perfect! And thanks as well for being part of the 2012 Comment Challenge! I hate books that make me cry. Only the fact that this is John Green (and I've enjoyed his others, and agree with you about his growing into his particular style) will make me pick up this one. I foresee some sobbing. I think I quite agree with you! I only cried during the scene in the car at the gas station… then I took a break and could handle the rest without too many real tears. But still. Sheesh. Another awesome thing about John Green? He is making it possible that my nearly 17 year old son, who loves him and his videos, actually sits and reads this book! I need to take a picture, I really do. I like your comment about your son, Suey. That is a very awesome thing about John Green. I never knew I could search like that it’s interesting and something might look into it. I like this kinds of books. 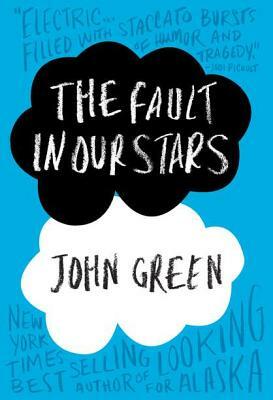 I've heard a lot about this book but I've never really been a fan of John Green. I've started a couple of his books but never finished one. Maybe it's time to give him another shot. I've only read one John Green book – Looking for Alaska, and I have the same thoughts as you did, haven't found the courage to post my review about that one yet – and I've chalked it up to perhaps a different phase in my life – in contrast to the group of people to whom John Green may perhaps be writing for. In which case, the hackneyed phrases and the seemingly-trite aphorisms would convey a different dimension of authenticity and reality. I really can't say much because as I've noted, I only managed to read one of his books. I've been seeing The Fault in our Stars in quite a number of book blogs lately, and after reading your review, I'd probably get around to reading it myself sooner that I planned. Thanks for your very well-considered, balanced, and thoughtful reviews. Thanks for reviewing this stellar book. It's my pick for the 2013 Printz. Unlike many, I'm a huge John Green fan, & one of the things many dislike about his books is what draws me in. His teens are mostly off-the-charts smart, often full of themselves, beyond their years in some surgically chosen areas of their lives, & a bit backward in other realms. His cast of characters comes straight out of any AP Senior English class, & – faults & all – I fall in love with his characters every time. Thanks for a thoughtful review.